Sunrise on the marsh at Ion, S. Carolina. 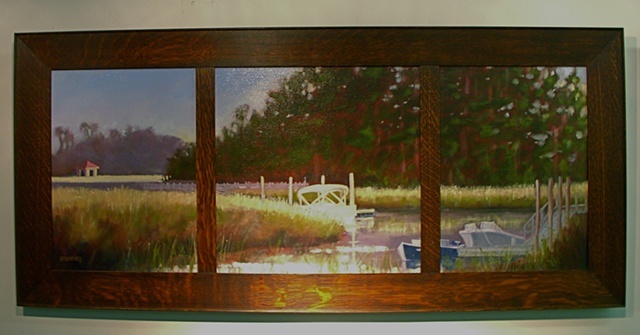 Three canvases in one frame made of quartersawn oak by the artist. The trick is to design three paintings, each of which can individually stand on it's own, but together form a complete scene.